One of the best things about this blog is all of you. Thanks for letting me vent on Thursday and thank you for all of the stomach tips. It sounds like I was not alone with stomach pains and A/C problems. Hopefully all of you are keeping cool and pain-free now! Last night was the second night in a row that I was stomach-ache freeand the source of my pains doesn’t seem to be anything serious! Last night was the first night we slept in an air conditioned bedroom! The rain yesterday brought us a couple humidity-freedays. Can you tell I am a different person? I knew that my stomach aches were getting to me, but I didn’t realize how much they were affecting my mentality on a daily basis. As it turns out, it was my breakfast that was the culprit. Ever since summer started, I’ve switched my daily hot oatmeal to a yogurt/oatmeal mix. The thing is, I just mix the oatmeal and yogurt (kind of like muesli) without cooking the oats. Apparently my stomach does NOT like that. And evidently, I’m not alone. The fact that I am not allergic to gluten, dairy or anything else is a huge relief. I also feel very lucky that there is nothing seriously wrong with me. Now, onto today’s post! Brandi from BranAppetit offered to share a delicious recipe with all of you. I only found Brandi’s blog a couple of months ago, but I am so glad I did. She is a fabulous self-taught cook and baker that posts various delicious recipes and peaks into her life. She focuses mostly on healthier dishes but also shares my love of indulgent desserts. A few recipes I need to make are her Vanilla Confetti Pound Cake, Peanut Butter and Chocolate Chip Oat Muffins, S’mores Dip (!!! ), and Vegan Frozen Chocolate Dipped Cookie Dough. Of course I chose the indulgent sweets. Hi everyone! 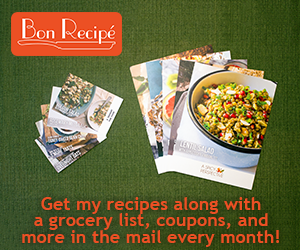 My name is Brandi and I’m the recipe maker, tester, and eater over at BranAppetit! I’m so happy to be guest posting for Lauren – her recipes are so fun and I’m excited to be sharing one of my own. After years of thinking I didn’t like scones, I’ve completely changed my mind. My husband and I found these incredible chocolate chip scones at a local bakery, so I made it my mission to make scones at home that were just as good and a tad healthier. In the past couple of years, Nick’s dad has been teaching me how to make biscuits from scratch (without using a recipe) and all the biscuit baking has definitely paid off! Making scones isn’t very different from biscuits, except that you should definitely (and always) add in chocolate chips. The basic process is really similar – cutting the butter into the flour, adding the liquid, and mixing just until the dough comes together and no more. I definitely could have patted the dough out and cut into wedges, but I’m lazy and didn’t want to clean off my kitchen counter. I just divided the dough into 6 equal sections, formed them into rounds with my hands and plopped them on the parchment lined baking sheet. Easy, less clean up, and – bonus – they look a little like chocolate chip-filled biscuits. No wonder we like them so much. In a large bowl, whisk together the flour, oats, baking powder, salt, and 3 tablespoons of sugar. Cut the butter into the dough (with pastry blender, forks, or hands) until mixture feels like (and looks like) cornmeal. Pour in buttermilk and mix, just until dough comes together. Form into 6 rounds and place on baking sheet. Brush the top of each scone with a little buttermilk and sprinkle with the remaining sugar. Bake 17-20 minutes until golden. You can also find Brandi’s original post here. Ah I thought I was the only one! I was loving those overnight oats but not enough to eat them anymore. Oh I was just going to try the over night oats too. Good to know I will have to keep that in mind. Glad you are feeling much better and these scones look delish! What a lovely guest post – and I have to say…my husband LOVES scones! So glad you figured out the cause of your stomach pains and that the a/c is fixed. I can definitely imagine being a different person after both issues were solved too :) These scones look like a better breakfast! Yum! I am SO GLAD the culprit wasn’t gluten! Silly oats. I adore Brandi! So glad to see her here. I rarely make scones, probably because the first few I made were less than stellar, but these look seriously delicious! Thanks Lauren and Brandi! I have guests coming this weekend and I’m def going to give these a try. Love both of your blogs….rock on! Lauren, great recipe and I’m glad that you’re feeling better. A happy and healthy stomach is indispensable for us foodies! These look yummy and I think almost anything with chocolate is good! SO HAPPY you solved your stomach issues and the a/c is up and running again! These remind me of a cross between a cookie and a biscuit! Sounds really yummy! And I’m so glad you’re feeling better, Lauren. And so glad it isn’t a food allergy (which is what I was afraid of). Yay! Glad you are feeling better Lauren! And isn’t this cooler weather great? We are across the Hudson in NJ and were so glad it rained and cooled off. Hopefully the heat wave is done! Gotta love scones with chocolate chips. I don’t see how you can go wrong. These sound great. Glad you’re feeling better, Lauren. It’s always a relief to get to the bottom of a “mystery” illness. I love scones! These look wonderful. Glad you are feeling better! I absolutely love scones ….and chocolate chips… perfect marriage!! delicious! I love scones with oats! Glad to hear you are feeling better! These scones sound fabulous! I love oats and chocolate together! Yum!! I love making cookies with oats! They look great! Oh no, I hope you are able to figure it out. It helped me to look at what I was eating every day and keep track of when my stomach bothered me. Great recipe combining oats and chocolate chips… kinda like a naughty and nice combined into one!! oh this would be perfect with coffee or tea for breakfast, a snack or dessert – looks wonderful! I’m so glad you’re feeling better…and that there was a simple answer to your pain. Whew. Thanks for sharing Brandi and her delicious scone recipe with us…once the heat tones down a bit, I’d love to try these beauties!